In late August tomatoes fill the market stands. I recently had the privilege of working the historic Head House Farmers Market - held most Sunday since its inception in 1745. I can not begin to describe the energy and passion of the market; watching these vendors display the products of their labor truly thrills me as a cook. Enter Mr. Tom Culton, proprietor of the 'Mouiseur Tom Culton Biologique' - an homage to his quebecque roots-of Lancaster County. 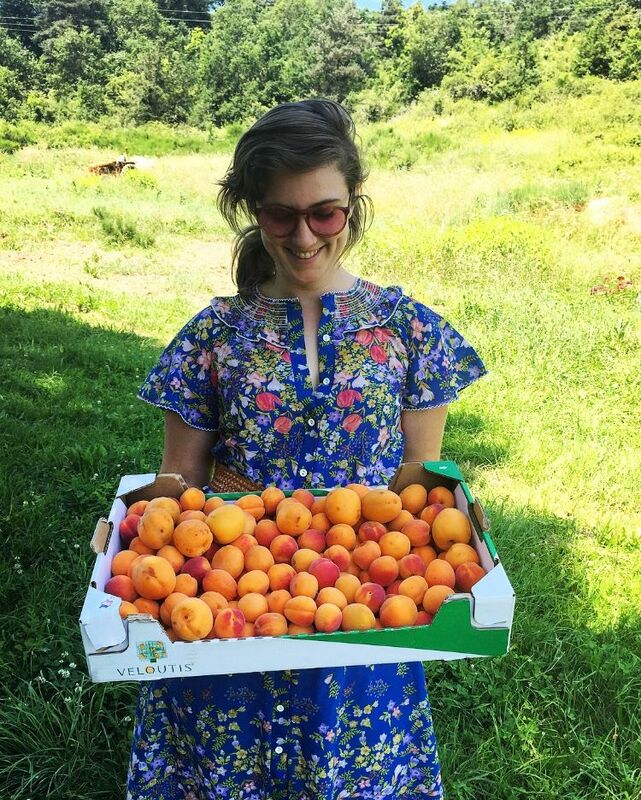 Tom always offers the market his rare, eclectic and captivating produce all grown organically on his family farm, which has been around almost as long as Head House. When we first met back in April, he kept chanting about his heirloom tomatoes, which he claimed were simply 'the best' around. I have begun to join Tom at Head House, on 2nd and Lombard, to smooze with customers and make suggestions on how to tackle his unusual crops. When we pack up the market at the end of the day, Tom gifts me oodles of bruised but still precious heirloom tomatoes. While still delectable, these tomatoes spoil when split and need to be used immediately. So I whisked these babies home and have been making gazpachos, sauces, and jams all month. Then I rediscovered my slow cooker and was so excited to break it out to make some homemade ketchup. I am often baffled when I start reading the ingredients of your average bottle of ketchup, like Heinz. High Fructose Corn Syrup? Potassium Chloride? Natural Flavoring, which can mean ANYTHING. These ingredients simply ruin the flavor of ketchup, but this has sadly been made the standard in America. I loved ketchup when I was a kid and put it on everything, but as I've gotten older, Heinz became too sweet and I normally just go for sriracha. This ketchup is full proof and oh so easy. Set it and forget it. You can use up all your gnarly looking tomatoes too! Since this recipe reduces for a long time, I let the ketchup cook overnight. In the morning, I woke up to this unbelievable aroma blasting out of my kitchen. Then, I tasted the ketchup. It is absolutely THE BEST ketchup I have ever, EVER in my entire life. It once again goes to show you that the best ingredients make the best product. I have been trying to find so many excuses to use this sauce, because its so good on its own, but who just free bases ketchup? 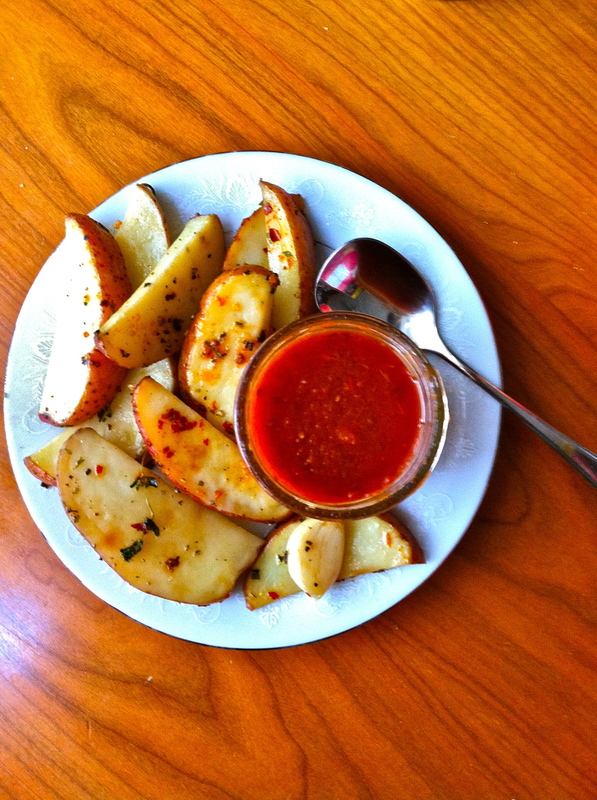 So we've been making tons of potatoes, the obvious companion for ketchup and it really steals the show. Core, and dice tomatoes. Place tomatoes and onion in slow cooker and set to high. Cook approximately and hour and a half, until tomatoes have started to break down and the juices are bubbling. 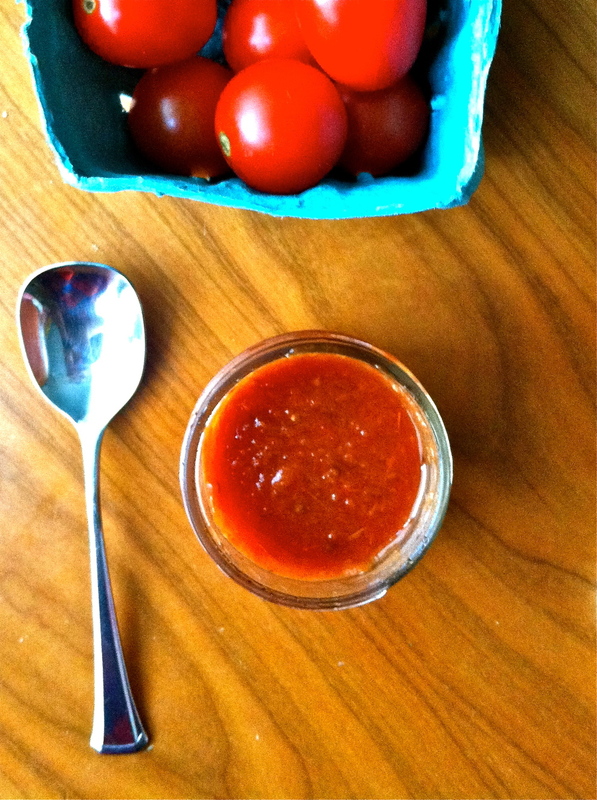 Puree tomatoes using a stick blender and return to slow cooker. Stir in vinegar, sugar, and salt. Place remaining spices on a square of cheesecloth and tie into a bundle with kitchen twine. Add to the mixture. Cook on low, with the lid removed (to allow mixture to reduce), for approximately 10 hours. Pour into either prepared glass jars for canning, or freezer jars. *Note- you can strain the mixture after its done cooking, to get more of the traditional ketchup mouth feel, but I like the graininess of the tomatoes and the flavor it gives. If it seems too watery, let it reduce longer. The mixture will reduce by at least half overnight.